This is the story of one man's battle to pursue his dreams despite an often incapacitating brain disorder. From his early experiences of fear and denial to his exasperating search for treatment, Eichenwald provides a deeply candid account of his years facing this misunderstood and often stigmatized condition. He details his encounters with the doctors whose negligence could have killed him, but for the heroic actions of a brilliant neurologist and the family and friends who fought for him. Many of Eichenwald's recollections are drawn from his diaries, vivid and painstakingly kept records that helped sharpen his skills as a journalist. He raises important questions about the nature of memory, the revelations of brain science, and the profound mysteries of human perception. A Christmas tree sparkled silver in front of me. My frequent, sudden sleepiness returned as I wondered how long I had been standing there. Or had I been walking? I felt odd, in a way difficult to describe - ­not sure where I was, not fully connected to my thoughts. I glanced around the room. Gold tinsel hung on the walls of a living room stuffed with older furniture. Windows peered at a neighbor's house wreathed with colored lights. Nighttime. I remembered - ­this was a party thrown by kids from my girlfriend's high school. Across the room, I saw Mari Cossaboom, whom I had been dating for more than a year, chatting with classmates. I strolled up to them, trying to conceal my confusion with a veneer of confidence. Eichenwald's prose is engaging, and the book is a fascinating and fast-paced read. I can think of many people I would recommend it to, and those who enjoy medical non-fiction, memoirs, or stories of success against all odds will certainly want to pick up a copy. Book groups, too, will find much to discuss within its pages. (Reviewed by Kim Kovacs). His remarkable memoir reads, unaccountably, like the most hair-raising of psychological thrillers. ... A Mind Unraveled is inspirational in the true sense of the word. ... It is written with great verve and wisdom by someone who has closely and thoughtfully detailed his own plight as well as the journey out of it. I found myself reading it obsessively. ... It is a book to take heart from. An enlightening and often moving memoir of one man's struggle to live with a chronic and debilitating condition. Starred Review. 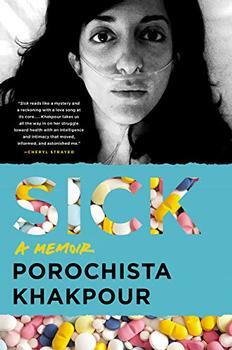 A terrific memoir with a stinging critique of health care gone awry. Starred Review. A passionate memoir of health and life and what it means to embrace both. Starred Review. In a career that's included hundreds of articles ... investigative journalist Kurt Eichenwald has established himself as a dogged and fearless reporter. But no story he's unearthed is as compelling as the one he tells in his traumatic memoir. . . . Candid, meticulously reported and at times terrifying, A Mind Unraveled is an inspiring story of a man whose fierce will helped ensure he would not be defined or defeated by a chronic disease. Starred Review. In this riveting personal narrative ... Eichenwald has created a universal tale of resilience wrapped in a primal scream against the far-too-savage world. Book clubs will clamor for this tale of survival and call for compassion. A Mind Unraveled reads like a medical thriller, at times truly frightening but also deeply inspiring. This book will make me think differently as a doctor. Kurt Eichenwald is a tremendously talented writer. When you travel on his personal journey, it is pure gold. This book absolutely floored me. It's a medical mystery unlike any I've read before, with a propulsive narrative. Trust me, you won't be able to put it down. Much of Kurt Eichenwald's memoir, A Mind Unraveled, takes place while he attended Swarthmore College in Pennsylvania. Swarthmore is the product of a meeting of the Joint Committee of Friends (aka Quakers) in 1861. The liberal Hicksite branch of the Society of Friends pushed for the establishment of a co-ed school "under the care of Friends, at which an education may be obtained equal to that of the best institutions of learning in our country." The Joint Committee agreed to set aside $150,000 to purchase land, specifying that the school's site should be rural so that students could have a "healthful country living as well as intellectual and moral training."